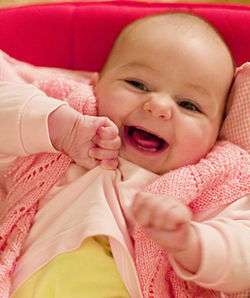 Where is Adelaide's Best Baby Shop? As an aunt to an increasing number of neices and nephews and friend to an expanding bunch of couples with kids, it can sometimes be a hard task to find the perfect baby gift. New and old parents also seem to be spoilt for choice when it comes to baby shops but what are some of the best baby shops in Adelaide? Magill Road has blossomed in the last few years as an alternative shopping strip. Between Glynburn and Portrush Roads you will find several great baby outlets. Rainbow Tree (320 Magill Road, Kensington Park) is one of my favourites. It specialises in products for organic and natural parenting so is a great destination if you are looking for organic baby products and safe gifts for babies and young children. They also stock other natural products for the whole family so its worth checking out. Right next door to Rainbow Tree is Out of the Cot (322 Magill Road, Kensington Park) which offers 'complete bedroom options for tots and teens'. Despite this, Out of the Cot actually has a surprisingly diverse range of products including bags, party ware and toys. Now cross the road, and you will find yourself in front of Baby Junction (365 Magill Rd., St. Morris). Here there is a broad range of products to suit almost anybody. Another great service they offer is capsule hire, where you are able to hire out a baby capsule or infant carrier for periods of 6 months at a time. Baby Junction also has an online shop gift registry available. On the Parade are several great baby stores. Try The Infant Boutique (Shop 6, 136 The Parade, Norwood) for its range of beautiful toys. 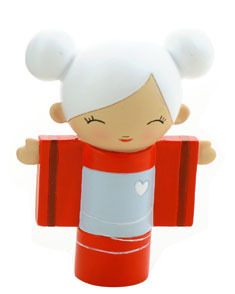 I just love their Momiji dolls too. Also on the Parade and several other branches in Adelaide is my favourite - Seed (Shop 4, 137 The Parade, Norwood). It has the cutest little baby outfits and some lovely childrens outfits as well. So, thats my little list of my favourite baby shops in Adelaide. I would love to hear what you think Adelaide's best baby shop is?